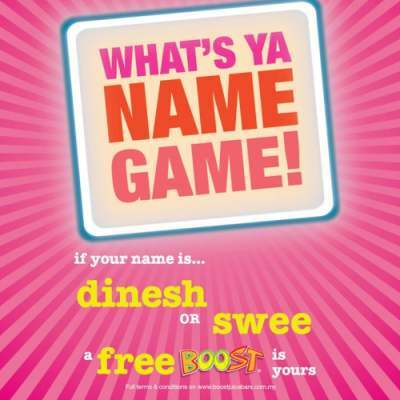 If your name is Dinesh or Swee, simply hop, skip and jump into your nearest Boost Juice Bar for a FREE BOOST today (23 May 2013)! To claim your free drink, just present your I/C or any ID with your photo (employee ID, student ID, gym membership card, etc.) for identification purpose. T&Cs apply.